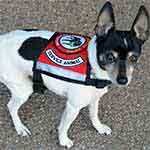 The official NSAR adjustable Service Dog Collar is a great addition to a Service Dog Vest. 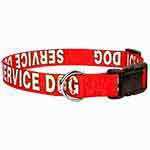 This durable polyester webbing collar will help identify your animal as a Service Dog, and in turn, help eliminate confrontations. 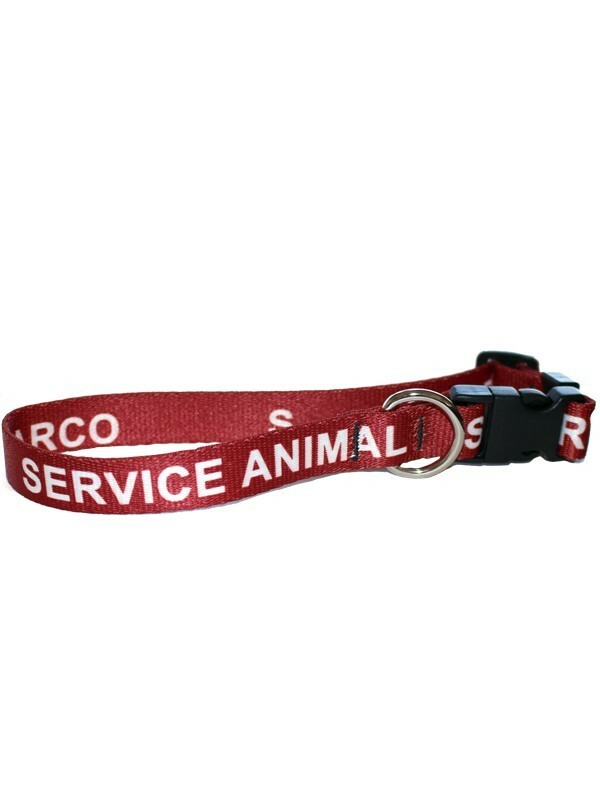 The white lettering won't crack, fade, or peel like other printed collars. Backed by our iron-clad lifetime guarantee! 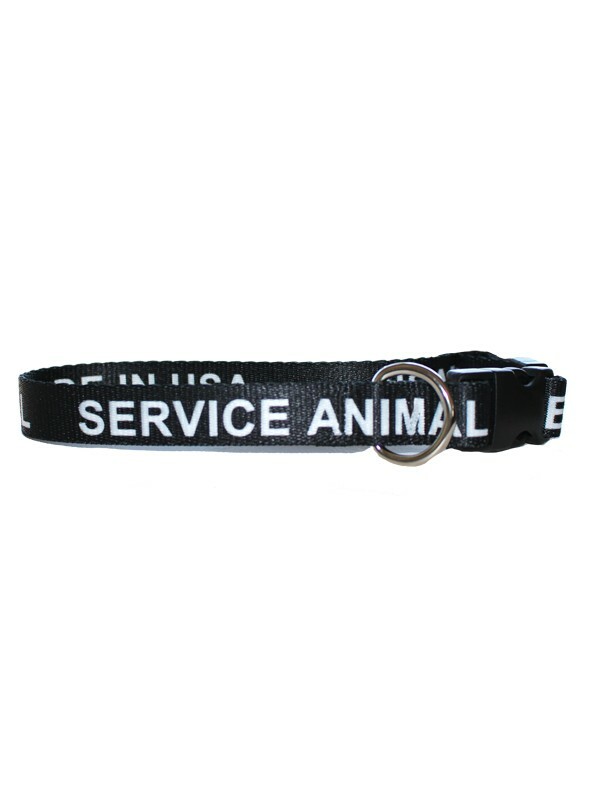 Eliminate confusion and confrontation when you're with your service dog with our high quality service dog collar. 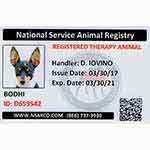 Others will immediately recognize your four legged companion is a working service dog. 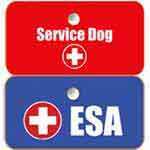 NSAR provides a 30-day No-Risk money-back guarantee, so order with confidence! 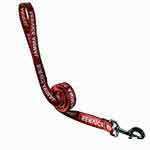 Collars are durable polyester webbing. 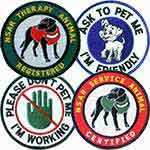 Sublimated lettering won't fade, crack, or peel! You're covered by our 30-day No-Risk money-back guarantee!